Did Your Business Disappear From Google Maps? Lately I’ve been getting a few emails and phone calls from current and past clients saying they disappeared from the Google maps search rankings. These calls and emails came in last week. Being that I was on holidays I brushed it off as a glitch as I’ve seen this happen before. A clients listing disappears from the maps results for a few days but then they pop back up again a week later. But when I got back to work a couple of days ago, I noticed their listings were still not showing up. 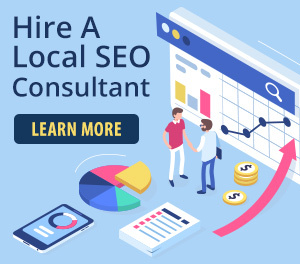 So I did some searching in my local SEO communities. What I found was this thread from the Local Search Forum. In the very first post Broland describes a friend of his whose listing doesn’t show up if you click on the “more places” link to see more mapped search results. He played around with zooming in once and zooming back out and noticed his friends listing showed up again. I tried this for a couple of clients and this worked. They weren’t listed there originally after clicking on “more places”. After zooming in and out again, they were there. Really odd right? Some further reading in that thread points to a theory by Joy Hawkins that if two businesses are listed in the same building, one will be filtered out before doing the zoom in and zoom out. After thinking about the two clients I researched, they were indeed listed in a building with a few competitors who offer the same service. I’m still trying to figure this out but can’t come out with a solution. Joy updated the thread a couple of days ago saying three attorneys in the same building were all in the top 3 but only for a couple of search terms. Now I really wish I could help solve the reason why your Google My Business listing disappeared from the maps. But I can’t for now so follow the Local Search Forum thread for updates. At the end of this, many believe Google is A/B testing some results. They’ve been known to do this in the past and let’s hope this is the case this time.